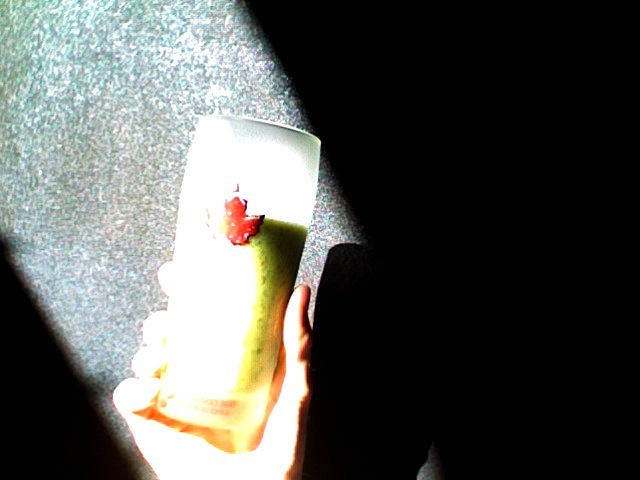 This green smoothie is actually quite exquisite for once. I used spinach for the first time, instead of kale, or collard greens, or even romaine. With those types of greens, you get a really chunky and flaky smoothie, which was the part I wasn't so fond of. It's all about learning what works though. I'm going to use spinach from now on, which is what I used this morning. It produced a more smooth, less vulgar beverage for the morning. Speaking of morning, I woke up just before 7:00am this morning, which is so irregular for me, during detox especially, and this summer especially. I'm usually up around 8, 9 or 10 due to the lack of energy and overall frailty, but even with me going to bed at 1:30am this morning, I still got up at 7, ready to go. FINALLY! Results. Yes. Thank you. I found out last night that I'm definitely going to New York City this summer! For a day. This coming Monday actually, with Meagan, Beth, and Beth's brother Barrie. We're going to leave at 5:30am, see some sights, eat some eats, and see a taping of Jimmy Fallon at 4:00pm I believe, and then drive home. Yep, literally just 1 day. I'm so excited to get up early and goooo somewhere. It'll be real good. Today, strangely enough, I work at noon. I haven't worked a lunch shift as a host yet, and I think I'm doing it alone, which is going to be a lot of work. Figuring out the seating board at the front, remembering all the table numbers, what to say, what to do, what to recommend, while bussing tables at the same time. All well, it has to get done, so I might as well just do it. Afterwards I'll be seeing me some Miss Lawson, and we'll watch movies, and hopefully go to yoga at 7:00pm for Manoj's class. He is definitely one of my most favourite yogis that I've encountered so far in my yoga experiences. So relaxed, and he teaches how he is. Calm, content, and quiet. A very authentic yoga experience all around, Manoj's hot class on Tuesday evenings.